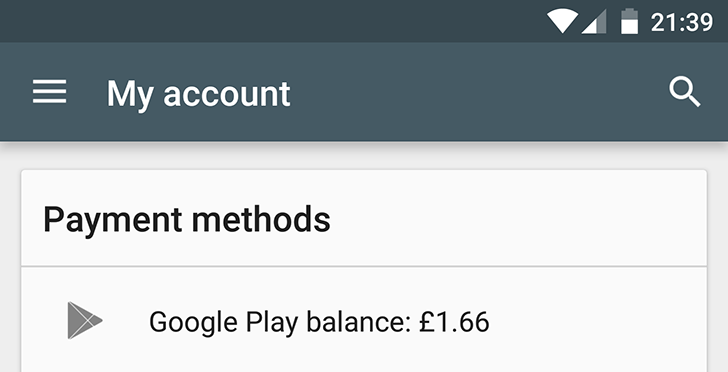 When you buy a Chromecast, usually it comes with some form of voucher for Google Play credit, which is then spendable on apps, music, games, books, movies, or TV shows. The updated list means that users in those six countries detailed above can now redeem these offers and spend the credit. It's not just Chromecasts, either: HTC has offered credit in return for a purchase before now, as have Nvidia if you refer a friend when buying an Nvidia Shield tablet. While the Google Play balance limit hasn't changed for these countries, we've listed them below for reference. So, Austrians, Danes, Norwegians, Poles, Swedes, and the Swiss: next time you're out shopping, keep an eye out for those devices with Google Play credit deals.